Not so long ago I owned the legendary Pass X-ONO, but as has become obvious, at that time I did not realize how good it was. 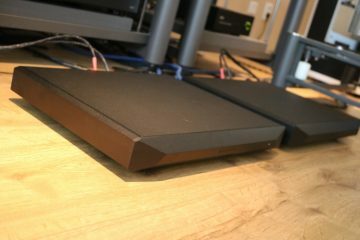 After the X-ONO was sold I have tried numerous other phono preamps, only to find that some are better in some areas, but none of them beat the Pass altogether. 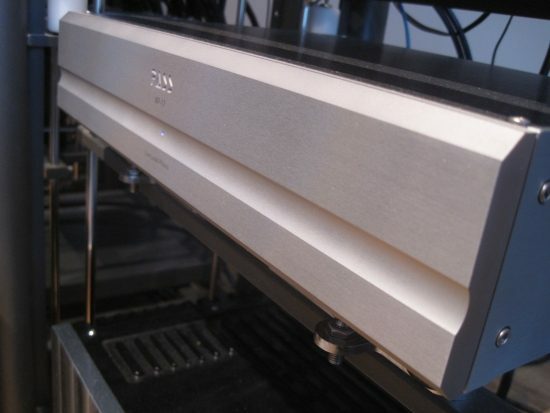 So far I have not been able to achieve such nice bass solidity or the same combination of timbral richness and tonal purity from any other phono preamp, let alone find one with such sheer configurability. I’m inbetween changing speakers and amplifiers, but the test setup currently consists of a Jeff Rowland Corus preamp + PSU and Jeff Rowland model 6 power amps feeding Duetta Signatures and a Bryston 3B ST feeding Apogee Centaurs. The latter may be old and relatively unknown but because these speakers have been in use with various turntables and phono preamps in several systems over the past 10 years, for me they are a great reference for evaluating LP playback. 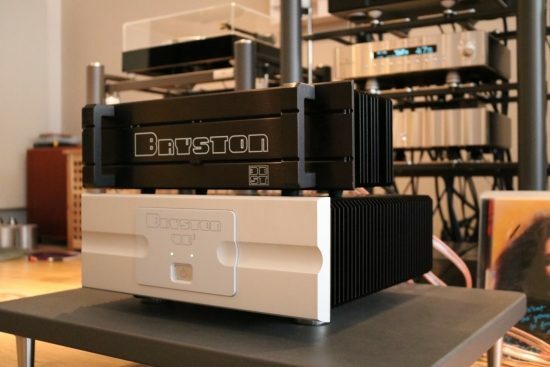 As part of another review, I also had a Bryston 4B Cubed (4B3) available for further comparisons. My current best turntable is a refurbished Thorens TD 160B MKII with Origin Live Onyx arm and a Denon DL304 MC cartridge. While not super high end, this is still a great turntable and the combination certainly sounds very good. 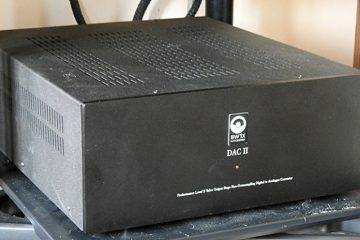 The phono sound using a Benz Lukaschek PP-1 phono preamp is nicely refined and airy, but the Denon DL 304 has never been the most convincing cartridge timbrally, actually sounding a little synthetic compared to a Benz ACE or AT EV33, especially when all compared in a standard Thorens TD160 MKII. The move to a refurbished Thorens TD 160 B KMI with Origin Live Onyx arm has been a real blessing, bringing me much closer to the lifelike kind of reproduction that I am after. However when playing some of the records that I last played with the Yamaha PX-2 linear tracking turntable with Audio Technica EV33 and the Pass X-ONO I can’t help but feel like having lost some power and conviction in the delivery. Playing those records again reminds me that I’m not quite there yet. But is it the Denon’s or Thorens’ fault? Turns out, it’s neither. Naturally the PX2 sounds very different from the Thorens and the latter can certainly be further improved upon, but listening to a few notes via the new Pass XP-17 phono preamp quickly confirms that the Pass was responsible for a lot of what moved me then. Since the X-ONO was introduced in 1999, lots of knowledge was gained and this resulted in the XP-15 being introduced not too long ago, with a single chassis design made possible by cleverly designing the circuit boards. 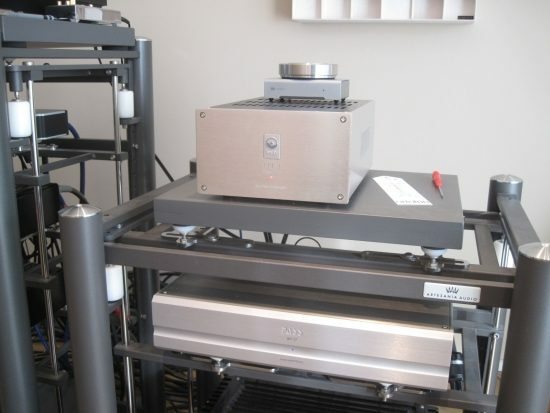 For the next phono preamp the idea was to develop an improved phono-stage with even lower noise, greater resolution and sonic ease than enjoyed with the earlier phono stages. After introducing the XS series the developers succeeded in applying what was learned developing the premier product line in a smaller, less costly package: the XP-17. Quoting from the manual: “The XP-17 has a RIAA equalization curve accurate to better than 1/10 dB across 10 octaves and the accuracy of this curve does not vary with an adjustment change of gain or cartridge loading. 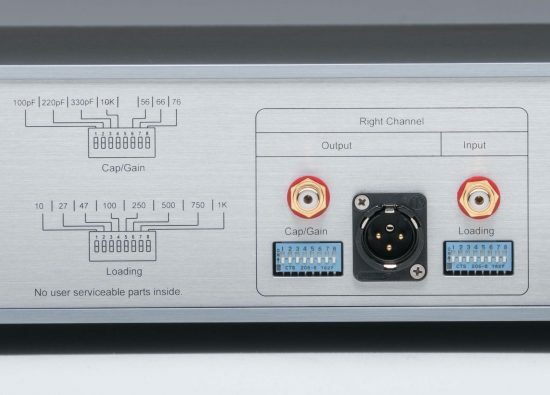 Gain can be set to 56dB, 66dB or 76dB. This range covers for all cartridges, be they MM, MC, high output moving magnet cartridges, or the lowest output moving coil cartridges”. The superb adjustability of this preamp should indeed provide all the options that even the most finicky tweaker might want. Cartridge loading can be adjusted from a couple ohms to 47k-Ohms, with a parallel capacitance from 100 pF to 750 pF using the default 100pF and any combination of the three extra values 100pF, 220pF and 320pF to make for 8 possible combinations. There are user selectable resistor values of 10, 27, 47, 100, 250, 500, 750, and 1K. The default setting with all loading switches in the “OFF” position is 47k-Ohm with 100 pF capacitance. Selecting “On” for any of these values places that value in parallel with the 47k-ohm or any other value selected, which makes for a stunning 256 possible resistive loading selections. 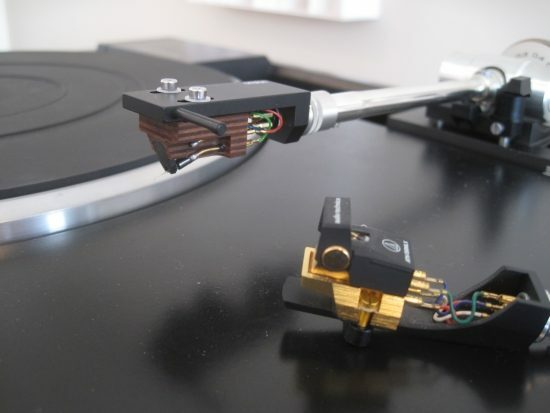 The XP-17 does not differentiate between moving magnet (MM) or moving coil (MC) phono-cartridges. The same set of inputs, switches and circuitry is used, and one simply sets gain as is appropriate for the cartridge. 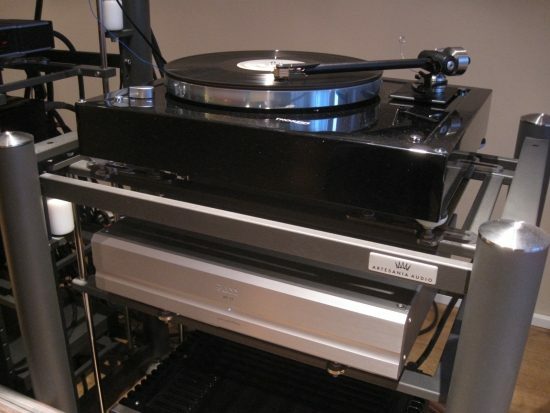 As is mentioned quite justly in the manual, “Cartridge loading is a compromise between what works best for the cartridge and what sounds best for the listener. Specifically, we are looking for a compromise loading which sounds best across the whole audio spectrum. 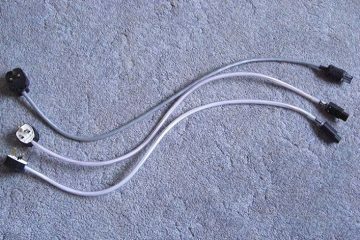 Interlinks and tone arm cabling all add up to the loading, and so should be taken into consideration when setting the loading value”. This means that the cartridge manufacturer’s specification is only the starting point, and one should empirically find out what works best for a given combination. Compared to Benz Lukaschek PP-1 (which has a fixed input impedance of 22k ohm) the Pass (set to its default 47k ohm, and 66dB gain) and used with the same Siltech Paris interlinks, the XP-17 sounds timbrally fuller and much more natural, and with a more sonorous bass. Vocals in particular sound so much more realistic and acoustical guitars have more of the “wooden” sound that they should have. On top of this, treble is nicely open and airy, but less spot-lit, less bright. 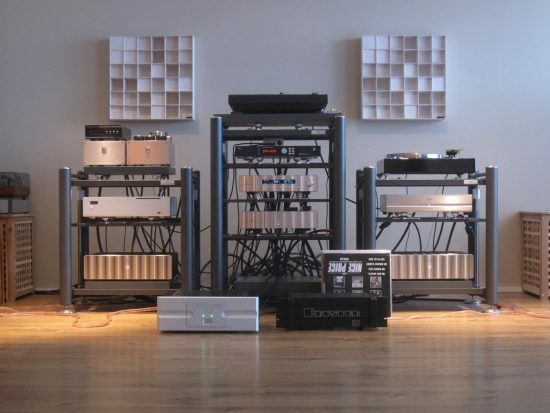 What’s more: there is not a hint of the Denon’s synthetic nature. It’s good to hear the same positive aspects again that I so valued in the XONO. The best thing however is that the XP-17 retains all that was good in the XONO but adds more refinement and a continuous fluidity that the former preamp did not have. Experimenting to find a more appropriate resistance loading value for the DL304, 500k is tried next instead of the default 47k, which reduces the overall output somewhat and adds some treble air but retains the overall balance. The Lukaschek still has more treble output, but by comparison just adds a little too much “zing” for this cartridge and system. Further lowering the resistance loading to 250k raises the subjective upper midrange and treble output to make the Pass sound more similar to the Lukaschek in terms of tonal balance, but still with its superbly full-blooded and sonorous, timbrally more natural sound. Dynamically the XP-17 is great too. 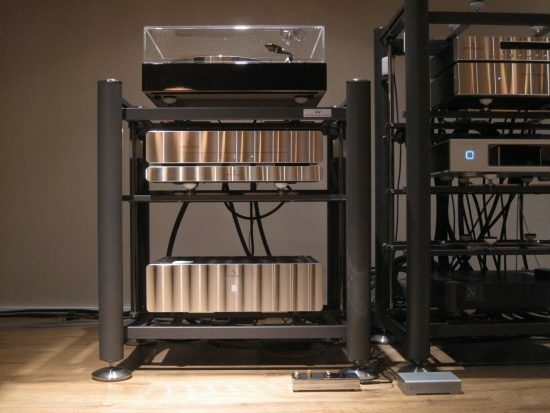 Dynamics are a strange aspect of sound, and it is often misunderstood. For example the Lukashek always has this “full on” quality that makes it sound very exciting, and this could be mistaken as it being dynamic. But if it always sounds loud, even with relaxed music, does it really perform in a dynamic manner? The Pass by contrast is neither overly forward nor too relaxed. It is simply cruising until it needs to switch to high gear, or hit the brakes. It adapts to the dynamic requirements of the source material, and that is precisely how it should be. Sound staging is much more 3D in the depth plane too, with vocals placed solidly in front of the instrumentation. 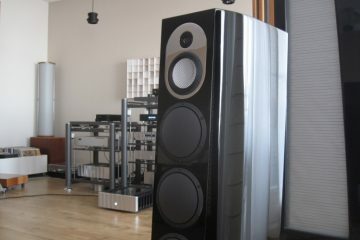 Due to its full tonal balance, there is always an acoustical believability to whatever piece of music that is played. The Lukaschek also has a full sound but by comparison also has a certain “processed” quality to it, that I had not noticed before. 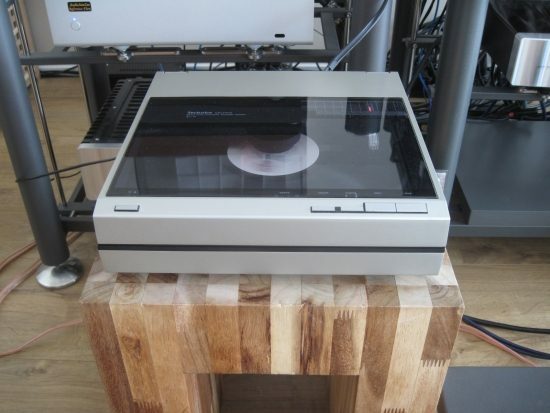 Throwing in the Jeff Rowland Cadence MC-only phono stage for good measure (shown above in an older incarnation of the setup) I can still understand what I liked about it so much previously. Even at its liveliest setting (hi gain and 250 ohm loading) The Cadence is stereotypical classic Jeff Rowland in that it sounds super-smooth, super-airy and ever so relaxed and well-behaved. It is a seductive and sensual sound that can work really well with smooth soul and the like. However comparing it to the XP-17 reveals that the Cadence also sounds somewhat “processed”, or shall I say “filtered”. The XP-17 by contrast has a much more “earthy” sound, with lends much greater realism to acoustic instruments and percussion. And while the Cadence certainly does not sound thin, it does sound restrained in drive and dynamically compressed compared to the much more expressive XP-17. 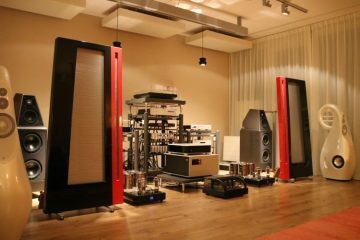 As music listeners our preferences develop over the years: 10 years ago I was extremely impressed by the Cadence’s super-refined delivery and was overwhelmed by its low level resolution and treble air, but these days I prefer the music to be more direct and down to earth. Still I like my treble to be open and grain free, but this has become far less important that tonality and dynamic behaviour. The X-ONO at the time already had me hooked in terms of bass heft and timbre but its treble performance ultimately made me sell it. While the X-ONO sounded a bit dark and lacked resolution especially in the treble compared to the Cadence, the XP-17 has completely filled in the gap, now sounding similarly fluid and open as the Cadence, now offering the best of both worlds. As the Cadence set the benchmark for me in that field, I think this really is a great achievement. The linear tracking Pioneer PL-L1000 is not a high end turntable, but it also is no Technics SL1200, not by a long shot. It has excellent tracking and sounds highly differentiated, but also a little thin, no matter which preamp is used. Normally the Audio Technica ATN150MLX MM cartridge is fitted, which plays to the Pioneer’s strengths, alas while also adding to its light-footed character. With the XP-17, the turntable’s character is not changed, I could probably still pick it out during a blind comparison, but still the sound becomes more natural and organic, less synthetic and while still thin, somehow fuller nevertheless. The Pioneer was also fitted with a high end VIRa Aidas Panzerholz MC cartridge. This cartridge is of course out of place on the Pioneer, but certainly upgrades it significantly. The XP-17 and the Aidas add body and a fuller, timbrally more natural tonality to this turntable but without sounding coloured at all, let alone congesting the sound, as can happen with lesser cartridges and preamps. The MM cartridge allowed no comparison with the MC-only Lukashek of course, but I do have two MM phono stages for comparison: a Schiit Mani and a SW1X LPU-1. 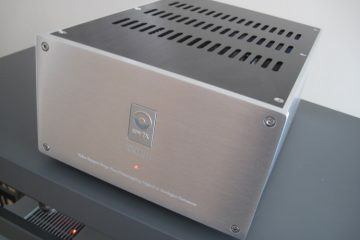 The Schiit Mani MM/MC phono preamp at only 160 euro is excellent value for sure. The Mani was used at the gain setting that best matched the comparison unit and at its 47k ohm setting for MM and MC as the alternative 47 ohm provided too much damping with the Denon DL304. 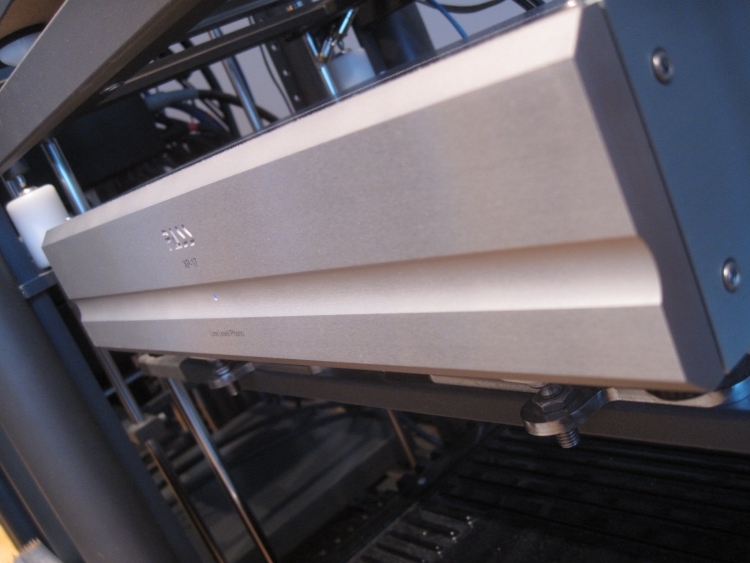 This entry level phono stage makes music at a much deeper level than should reasonably be expected at its class. 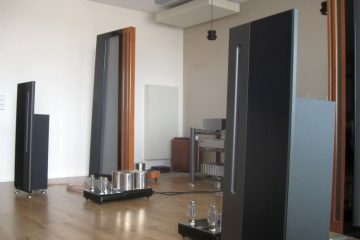 For example while it does not sound quite as sonorous, powerful or full-bodied as the MC-only Lukaschek (when comparing with the Mani in MC mode), it does sound more articulate, more airy, more spritely and more refined as well. Most importantly, it gets the message across. 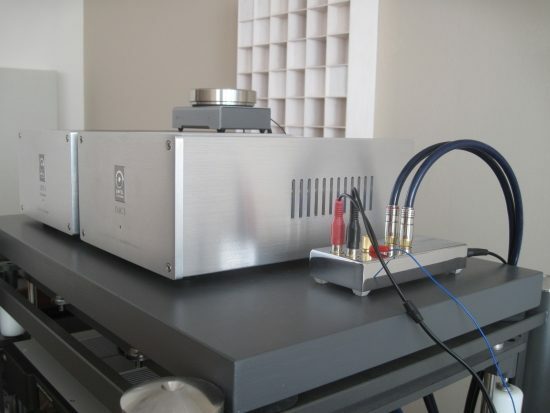 Comfortably beating the Schiit however is the SW1X LPU 1 Signature tube preamp. The SW1X has a fixed 47k ohm input impedance. 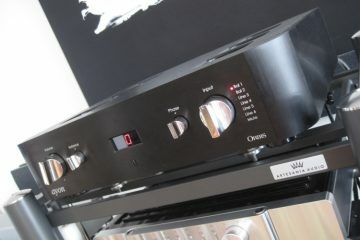 Priced at at 1670 euro this MM-only preamp takes everything that is great about the Mani (in MM mode) and adds more resolution, smoothness and fluidity, while retaining speed and full dynamic impact. 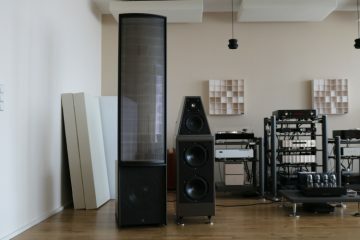 It also has a fuller tonality and more body, but is still tilted somewhat toward an open sound rather than a warm sound, and without sounding thick or coloured in the very least. Its character can be changed by swapping tubes but this would take things too far for the purpose of this review. 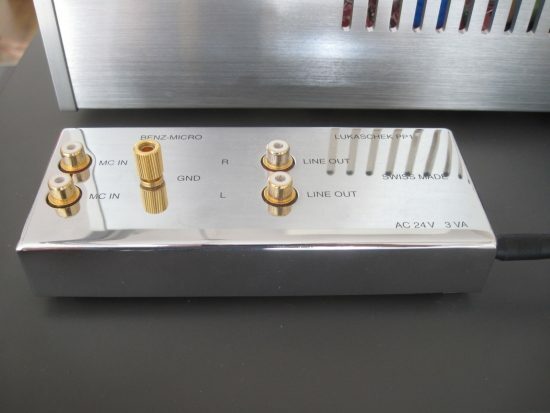 Although one cannot really compare a MM phono preamp to an MC phono preamp, let alone with different sources, in the combinations tried, the SW1X also sounds more “real” and involving to me than the Lukaschek. The XP-17 finally is positioned several price classes higher, but very much deservedly so. Although the Pass has no tubes, it does sound every bit as fluid and organic as the SW1X. It is perhaps not quite as spritely nor as nimble and speedy, but it makes up for this with an even more sonorous sound with more powerful and more sonorous bass and a harmonically richer midrange, while simultaneously sounding more even-handed. Importantly, regardless of its full-bodied bass and rich midrange, the Pass sounds clear and articulate, well-balanced and very neutral. It actually combines virtues that are often contradictory: tonally full yet neutral, organic, rich and fluid yet clean, clear and detailed, and all aspects in equal measure. Naturally the XP-17 can be tweaked in one direction or another by selecting certain power cables but I went no futher than to use a 2,1 mm Belden 19364 with Oyaide 004 connectors, my current standard for refined neutrality. This worked so very well that I did not see a need to change cables. The other phono preamps only have cinch outputs, so when the XP-17 was compared with other preamps, it was used with the same cinch interlinks, such as the Siltech Paris and AudioQuest Water. Switching to XLR via a TTL’d Cardas Hexlink Golden 5C the XP-17 sounds even more solid and powerful and using a Cardas Clear XLR cable ultimately extracted most refinement, nuance and air while subtracting a little bit of all-out slam but retaining the overall tonal balance. At this point it is important to note that the XP-17 does not add warmth or any kind of editorializing for that matter. 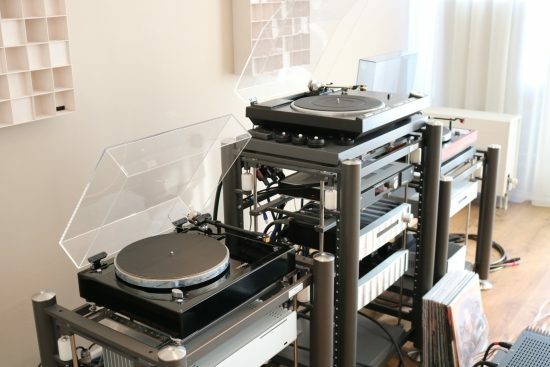 It really is very transparent, clearly letting me hear the differences between all turntables and cartriges yet making everything sound more human, more real. 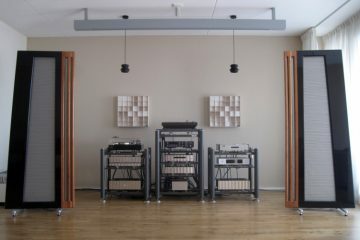 It is perhaps this carefully weighed balance that might not make it stick out at first, but trust me, this kind of neutrality is exactly what you will want after having tried other preamps that favour one extreme over another. The standard Thorens TD160MKII with Denon DL110 high output MC cartridge is another basically fine turntable, but it is certainly not the best out there. 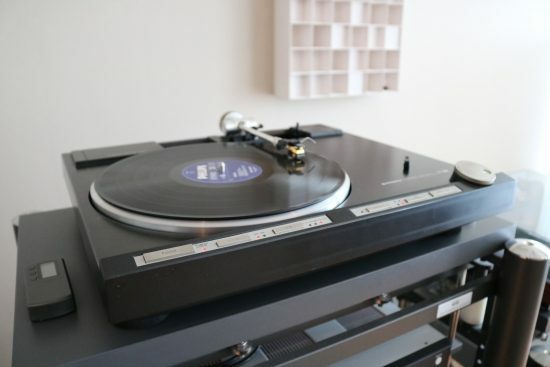 The turntable itself can sound thin yet boxy and the DL110 cartridge is a bit of a rough loud-mouth. Yet, via the Pass, the combination sounds better than I had heard it before. Sure the other Thorens with its Origin Live Onyx arm and DL304 cartridge retrieves a lot more nuance, and sounds much more balanced but still, the standard Thorens does sound tonally balanced, nicely rhythmic and it simply rocks. Just for kicks, I also connected the humble Technics SL10. It has been fitted the best cartridge available in P-mount, the Jico SAS. The XP-17 can’t make it a high end turntable, but just like with the Pioneer, it does extract more from it than other preamps that I have tried, especially in terms of naturalness and believability. 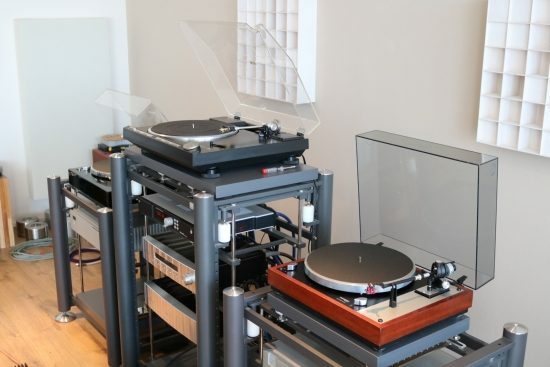 The standard Thorens beats it in terms of natural timbre and timing, and overall sounds better in most instances. Still, I think the SL10 might surprise many, by sounding as good as it does with the XP-17. Above are the Centaurs in front of the Duettas, as listened to for the majority of this review. Below the Dali Ikon sixes can also be seen as they were briefly visiting to provide some final perspective. 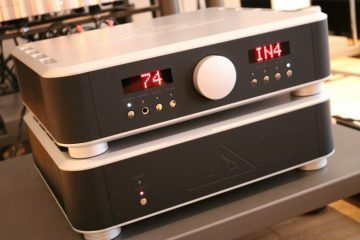 Some music lovers will perhaps search for a warm and loudness-like sound in a phono preamp in an effort to obtain a certain romantic golden glow, but in my opinion that is not what should be strived for. Rather, I feel that it is important to retrieve all the energy that is in the grooves, as unaltered as possible. 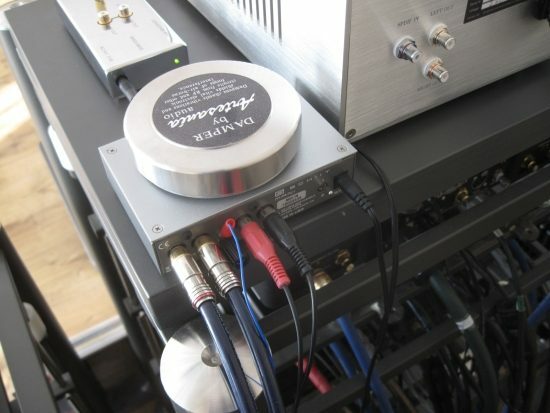 If one wants to colour the sound, then it is better to do this further down the chain, by selecting those audio components that most cater to the personal preferences or by tweaking, for example with power cables or the interconnects between phono preamp and preamp, or those between preamp and power amp. I’m sure that I still only scratched the surface here, but past experience with more high end turntables tells me that the XP-17 is worthy of the highest level of equipment. 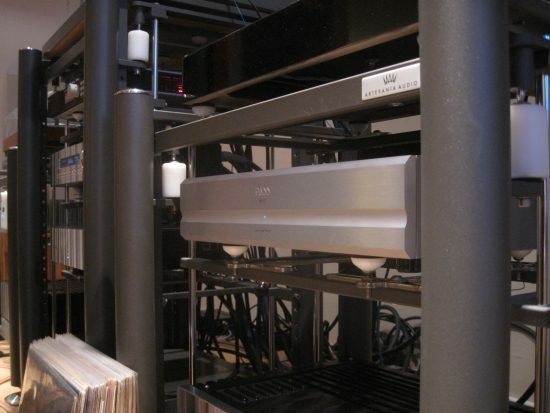 It is quite simply is the best phono stage that I have heard so far, and by no small margin. It also offers both single ended and balanced outputs and has almost infinite adjustability. 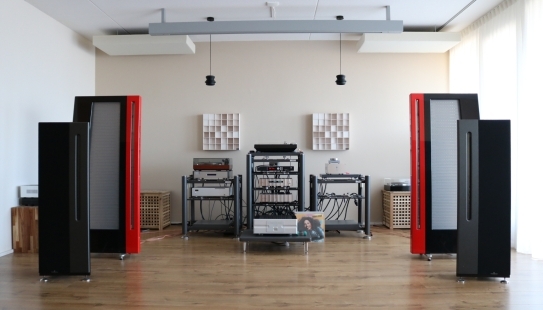 At 5500 euro it may not be dirt-cheap, but it is also certainly not stratospherically priced. It is easy to find several competitors costing double, and then some. The XP-17 does not have a character of its own, or it must be its honest and earthy delivery. Yet it is not clinical or tonally deprived in the slightest. It is as richly colourful, as deeply emotionally communicative and as powerful as the recording that is played. It is dynamic and lively not by highlighting certain areas but by delivering equal amounts of energy across the frequency range, and doing this in an unfiltered and communicative manner. 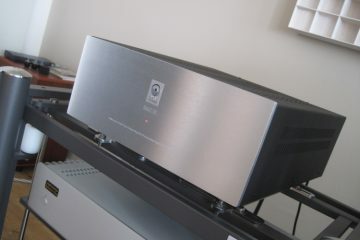 Oh and it has the best bass that I have heard from a phono preamp so far. 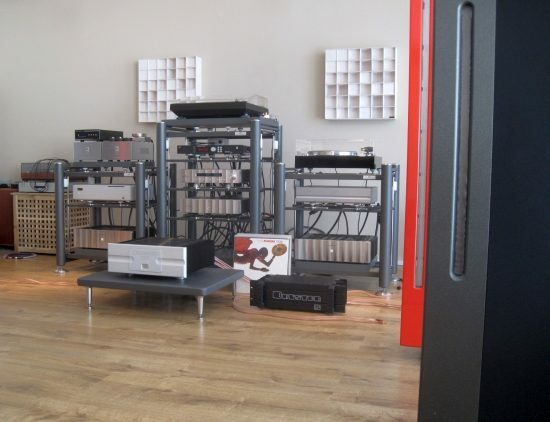 If I did not need all my funds for another purchase then it probably would not have left my listening room again.